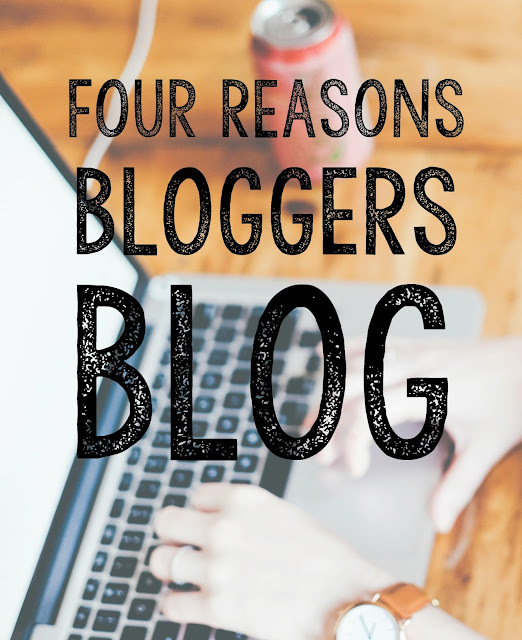 I always hear the question, "Why do you blog?" This can usually only be answered with a complex explanation that is different for everyone. It's tricky to articulate and explain your reasoning, especially to a person who doesn't blog or know what the blogging community has to offer. After pondering the question for a while, I think I've come up with four universal reasons why most people blog. I think this is the most important reason and that's why it's number one on the list. When I first started blogging, no one read my blog- and I mean no one. It was just a little space for me. I liked writing and I liked designing my blog. It didn't matter if anyone read it because it was fun and enjoyable for me. Obviously if I didn't enjoy it, my blog wouldn't have lasted very long. But here we are going on a year and a half of consistent blogging. 2. For finding great friends. If you don't blog, you won't understand this, but man, I meet some of the coolest people through blogging. These usually are of the virtual nature at first (ie: I stalk your blog, you stalk mine). If you're lucky, you'll get to meet each other at a real-life, in-person blogging event, and once you get over the initial I-know-everything-about-you-but-we've-never-met awkwardness, some of the greatest friendships can be formed. The only weird thing about blogging friendships is explaining them to others outside of the blogging realm, when referring to them in normal day-to-day life. "So my friend... well not really my friend... I mean we are friends... umm, yeah, I just follow her blog..."
3. For making connections with other bloggers. This technically could fall under #2, but it's getting it's very own number because.... I decided, that's why. 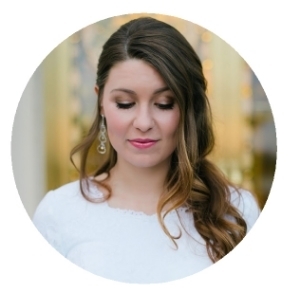 I love finding other bloggers who I relate to. You love Disney as much as I do? Awesome. You have a pet English bulldog too? Let's be friends. You own an Etsy shop like me? How about we collaborate on something? You're a Jimmy Eat World fan? Let's go on an impromptu trip to Yuma to see their concert in a dinky, ill-light bar together. Bloggers are just so easy to make connection with and it make you feel like there are others out there that understand you. It's great not to be alone in this big scary place they call the internet. 4. For talking about yourself.